Attention fans of hit Korean drama series, Goblin! 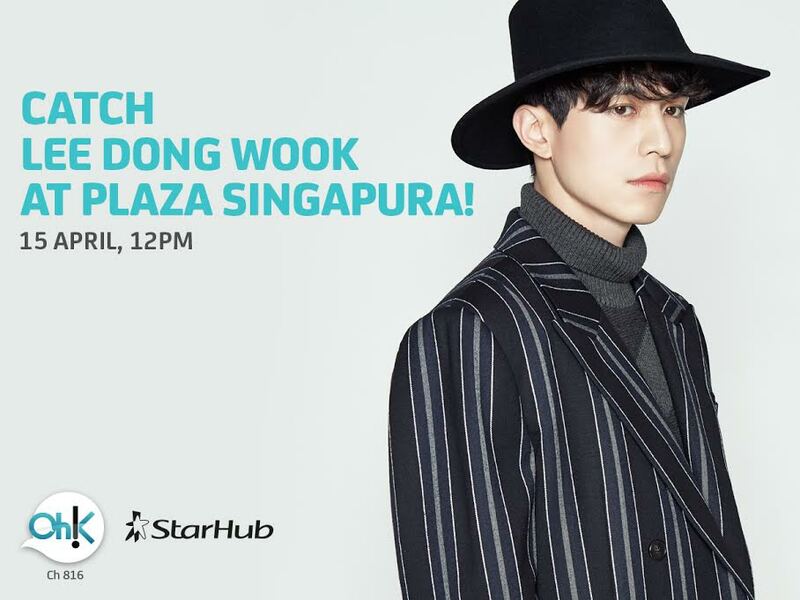 Oh!K, cable television service, is offering viewers in Singapore the opportunity to get up close and personal with their favorite Lee Dong Wook! The actor will visit Plaza Singapura on next April 15 and participate in a public media conference that will be held at the mall’s outdoor atrium. Best known for his recent role in Oh!K’s latest hit dramas Goblin as the ‘Grim Reaper’, and ‘Jae Wan’ in Hotel King, Lee Dong Wook will answer questions about his acting career and his experiences filming with other lead actors of Goblin such as Gong Yoo and Kim Go Eun. In an exclusive opportunity for new subscribers, the first 40 customers who sign up for StarHub Go Select from April 3 – 9 will be given a pair of exclusive front-row passes to the public media conference. Also, from now until April 9, existing Oh!K StarHub TV subscribers and Go Select subscribers can take part in an online contest by answering a simple question – “Which is your favourite Lee Dong Wook’s drama, and why?”. The best answers will win a pair of VIP tickets to the 2017 Lee Dong Wook Asia Tour in Singapore <For My Dear> hosted on the same day at Marina Bay Sands. Simply log on to www.starhub.com/go-contest to participate or to sign up for StarHub Go Select. Both events are held in partnership with Oh!K, StarHub, and IME Singapore. Those who are looking to get their Lee Dong Wook fix can expect a re-run of Hotel King in Singapore on Oh!K, from Sunday, April 23 onwards at 2pm. Oh!K is available on StarHub TV Channel 816 and StarHub Go. For more information on Oh!K and its programs, please visit the Oh!K Website or the Oh!K Facebook page. Information on StarHub can also be found on http://www.starhub.com.